Filter Aid Cellulose used for various filtrations application like Brine Filtration, Wine Filtration, Beverages Filtration, Edible oil Filtration, Mining and Metal Filtration. Brine Filtration Extensively used in Caustic Soda industry for Filtration levels of PPB(Parts Per Billion). 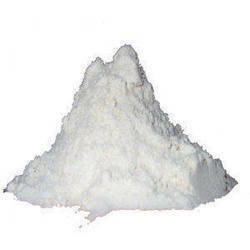 · Cellulose offers Neutral PH & low water soluble, as required in food industry. · Longer Filter Cycles – The Cellulose as Filtration Aid forms a Filter Coating or cake with far more dirt holding capacity than other filtration media, thus resulting in 2-6 times greater cycle period. · Mixes easily & Precoats rapidly – The easy wetting of the Cellulose results in rapid mixing and thus more effective filtration surface area in the same equipment. For Mining & Metal Filtration the basic advantages of Cellulose as Filter Aid, Low to Zero Ash content – After the filtration process, the cellulose products are completely incinerated without any residue. Packaging : Packing is available as per client required. Incepted in the year 1965, at Daman, (Daman & Diu, India), we “Agrosyn Impex” is a reputed name engaged in manufacturing, trading, exporting and importing high quality range of Construction Chemicals, Fluoride Chemicals, Fluoborate Chemicals, Cryolite Chemicals, Titanium Salts, Iron Oxide Pigment, Chrome And Inorganic Pigment, Organic Pigment and Chemical Wax. Owing to the support of “Mr. Shamik Patel (Proprietor)”, we have been able to attain a huge client base. We export these products to USA, Saudi Arabia and Thailand.